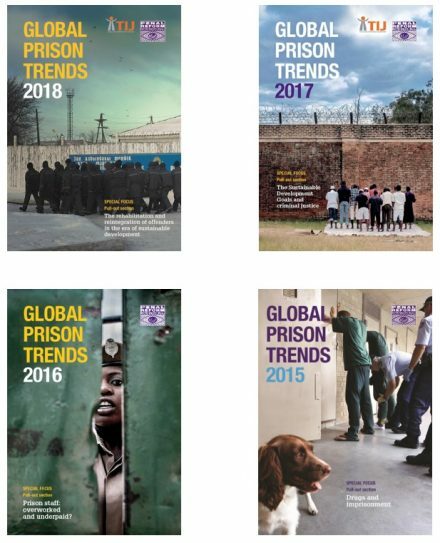 Global Prison Trends contributes to the monitoring of crime trends and operations of criminal justice systems. This was identified as key to measuring the ‘progress in strengthening the rule of law and advancing towards sustainable development’ in the UN Secretary General Report, State of Crime and Criminal Justice Worldwide, in January 2015. Click on the links below to read each report.